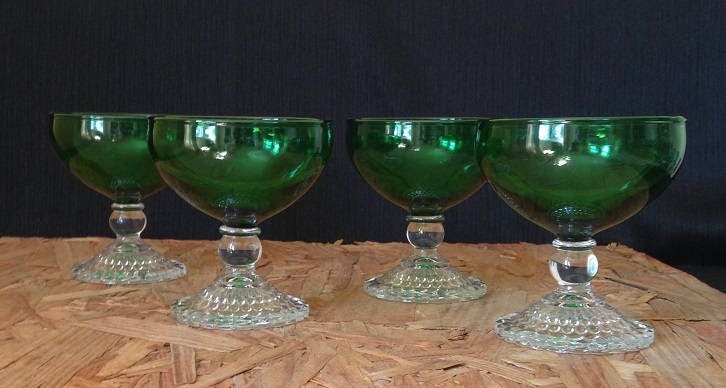 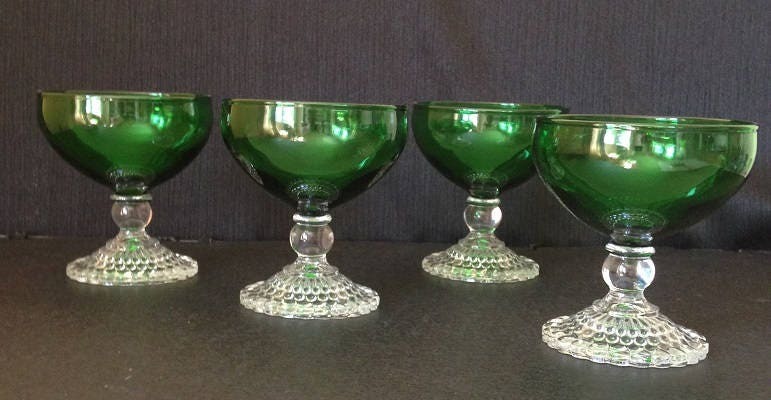 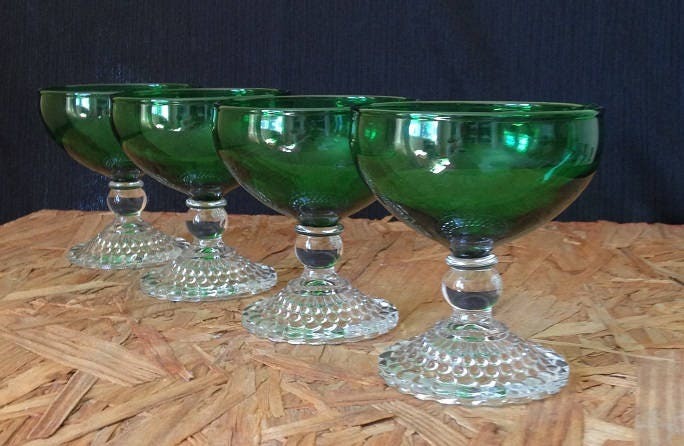 This is a great mid century set of four green and clear champagne or sherbet glasses. 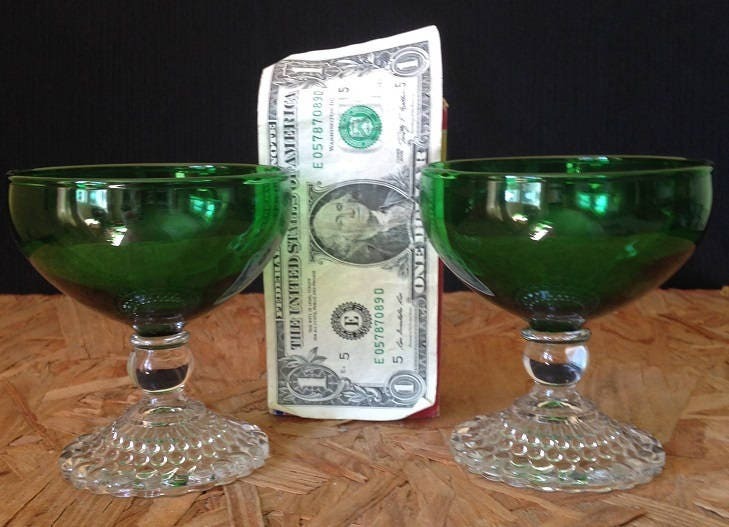 The bowls of these glasses are a forest green color that sits on top of a clear glass stem which has a round ball in its center. 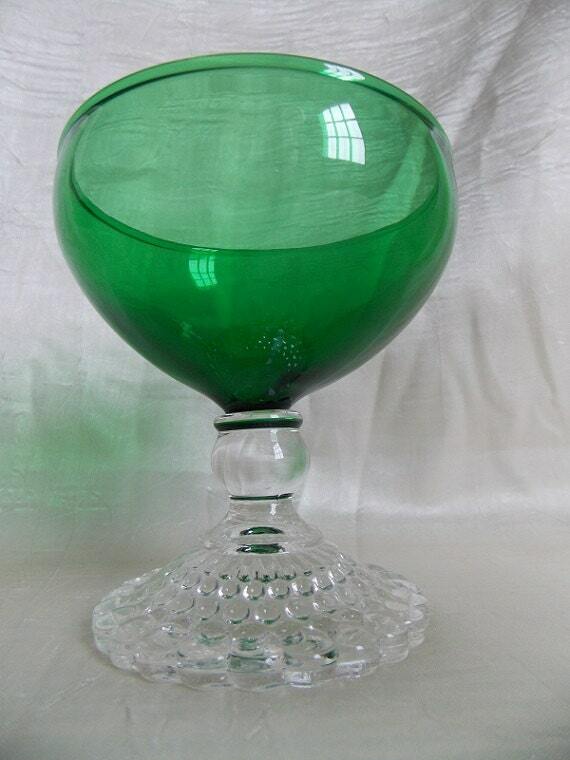 The clear glass foot has an overall round beaded design. 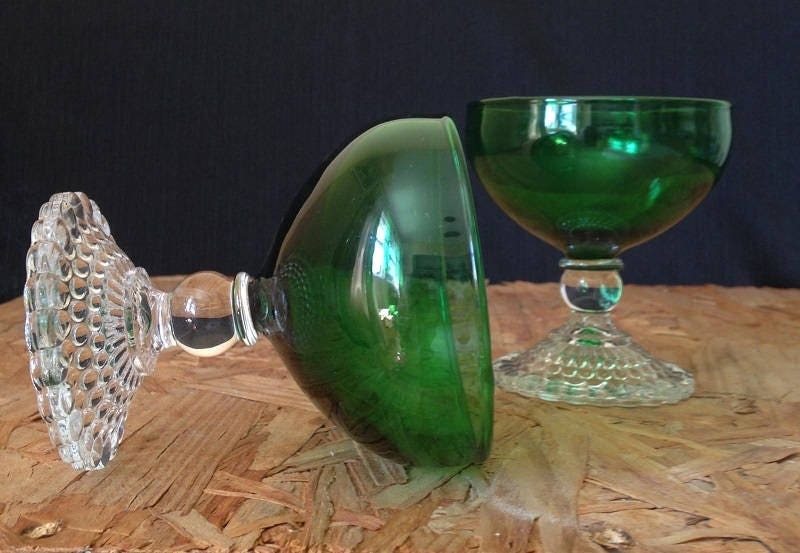 Great set for Christmas or St. Patrick's Day entertaining.